Anshu Jamsenpa from Arunachal Pradesh climbed Mount Everest by its Southeast Ridge route on May 16. She repeated the feat on May 21, beating a record set by a Nepal's Chhurim Sherpa. Kathmandu: A 38-year-old Indian climber who made the fastest double ascent of Mount Everest and became the first woman to reach the highest point on earth twice in five days, says she will now turn her attention to smaller unclimbed peaks. Anshu Jamsenpa, from Arunachal Pradesh, climbed Mount Everest by its Southeast Ridge route on May 16. She repeated the feat on May 21, beating a record set by a Nepali woman, Chhurim Sherpa, who made the dual climb in seven days in 2011. Ms Jamsenpa also climbed the 8,850 metre (29,035 feet) summit twice in 10 days in 2011. She climbed it again in 2013. A motivational speaker and trainer in mountaineering, Ms Jamsenpa said she felt an emotional attachment to Everest. 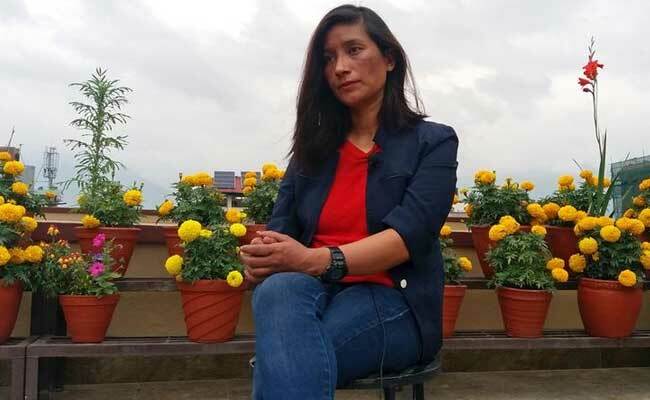 "When I go high up I rediscover myself and can realise the strength of my mind," she told Reuters in Kathmandu over the weekend after returning from the mountain. "But before that I want to climb other virgin peaks in the Himalayas," she said. "That long hug had a magic," she said. "I could not tell him anything. I became speechless."